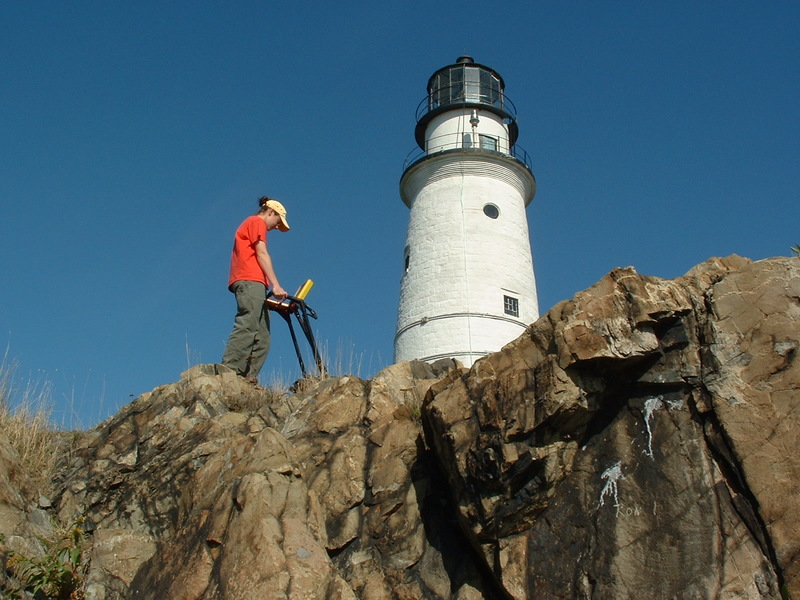 H-R searches for artifacts at Boston Light at Little Brewster Island - Hager-Richter Geoscience, Inc. : Hager-Richter Geoscience, Inc.
Hager-Richter conducted surface geophysical surveys at Little Brewster Island in Boston Harbor a few years ago. 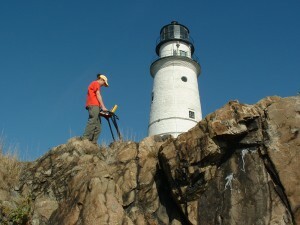 Little Brewster Island is home to Boston Light, the oldest light station in the United States and, at the time of our work, the last lighthouse officially manned by the U.S. Coast Guard. The field crew got to stay overnight with the Coast Guard lightkeeper and the official lighthouse dog, a privilege not available to many. The objectives of the geophysical survey were to identify the locations of potential archaeological resources. H-R performed the survey using three techniques: electromagnetic induction terrain conductivity (EM38), magnetics, and ground penetrating radar (GPR). Many areas of possible archaeological significance were detected.